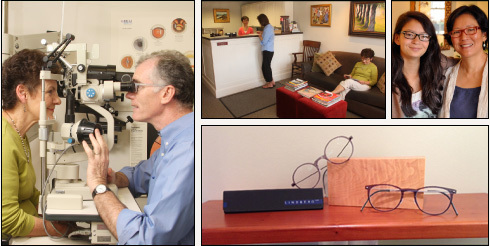 Our knowledgeable and caring team provides personalized comprehensive eye care in an intimate and beautiful setting. We utilize the latest technology in the care you receive and the materials we provide. Eyeglasses are an extension of your personality and we have an eclectic collection of frames to choose from. Quality materials create value. We specialize in frames that are built-to-last and offer eyewear made of recycled and biodegradable materials.